This article explains my submission to the Ford Parking Lot 2.0 challenge, which won 2nd prize in the challenge. Parking lots are the places where drivers become pedestrians. 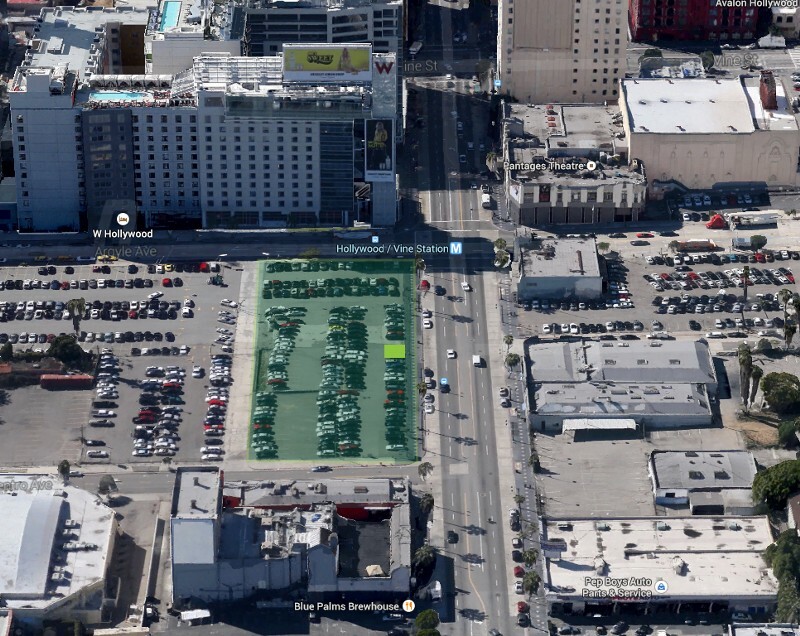 My initial idea for this challenge was to repurpose select parking lots to encourage the use of public transportation and walking in downtown L.A. and other urban centers of Los Angeles county. While I personally believe there should be less outdoor parking in urban parts of most cities, it is not realistic to imagine dramatically less car usage and parking in a city like Los Angeles. 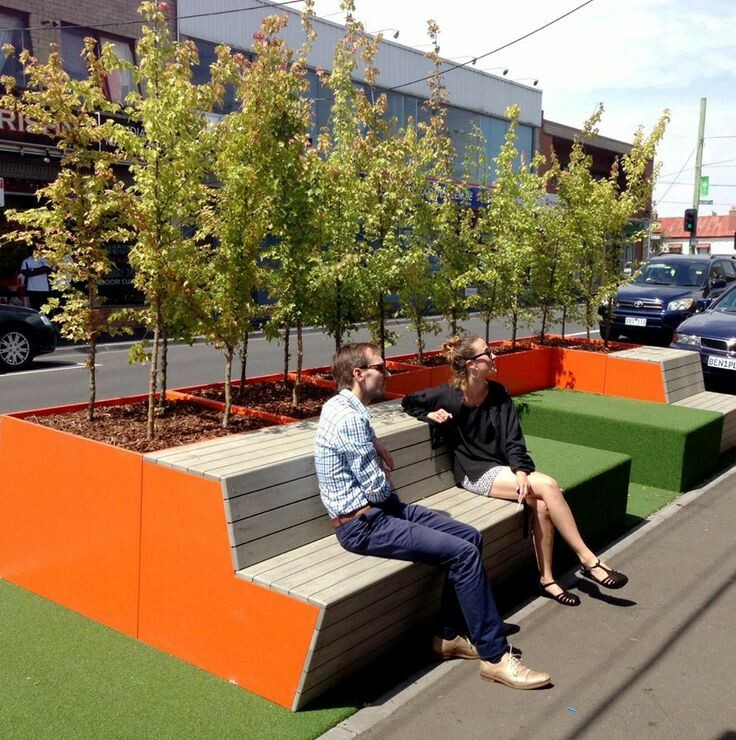 So what are some ways that parking could be less of an urban problem and even part of the solution? 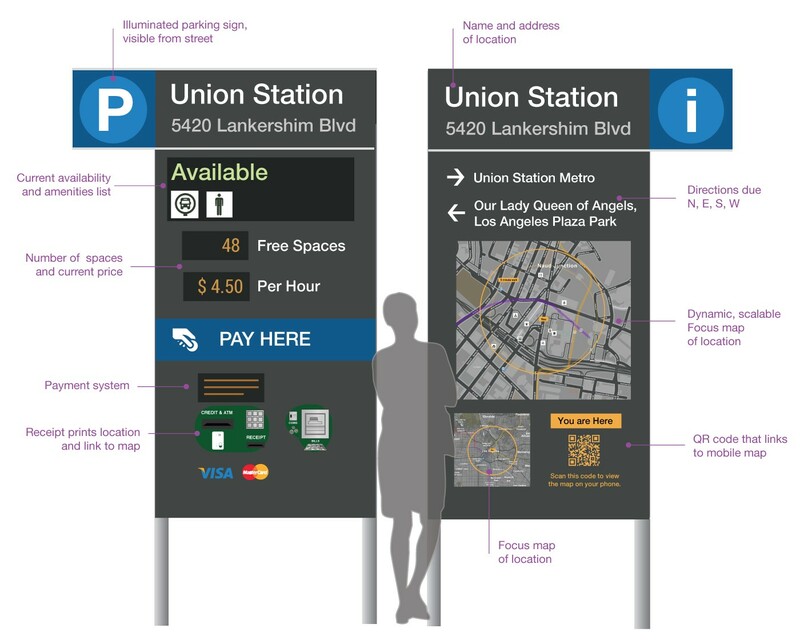 My proposal, Park Here L.A., is to retrofit existing parking spaces into pedestrian-friendly information hubs that include kiosks for information, payment, and wayfinding. 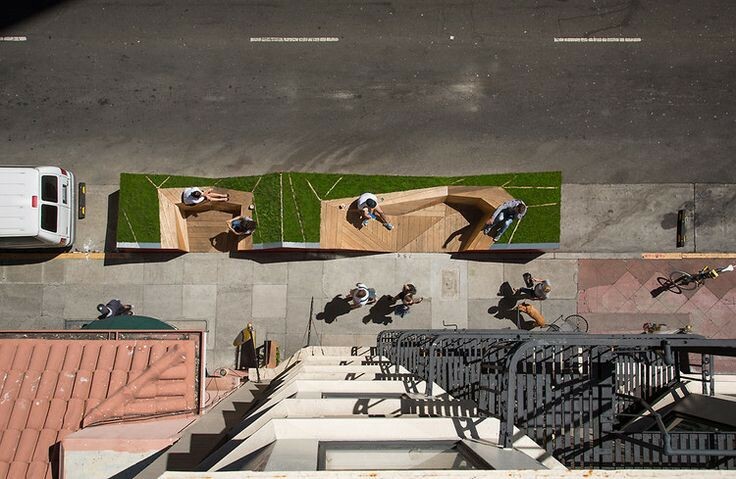 A single parking space is about 160 square feet and costs tens of thousands of dollars to build and maintain. I propose that parking lots around the city reserve just two spaces — one from hundreds of spaces in most lots — that will be transformed into an inviting and safe area for parking lot users to connect with other transit systems and find information about nearby places and services. Existing payments systems will be leveraged for internet connectivity that can be shared with the information kiosk. 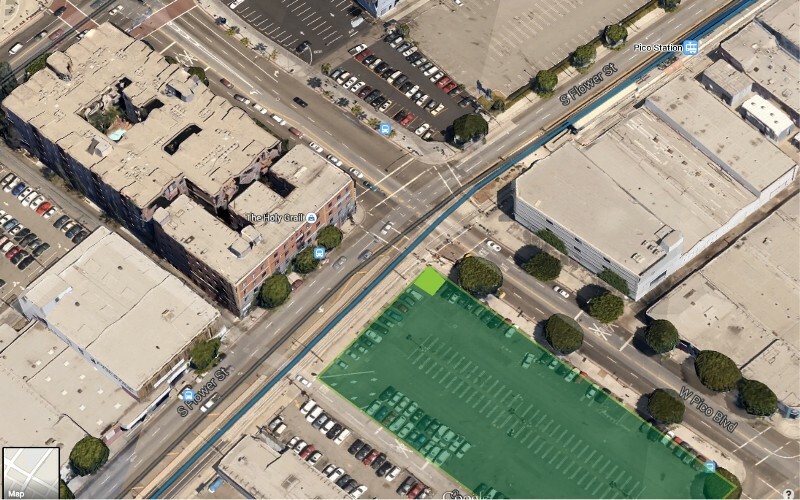 The web connection will allow for scalable web-based maps that display data from city APIs including the L.A. Metro Developer API and Google’s Places and Civic APIs. There are many steps in the driver’s journey and they will use several system to navigate to their desired destination. The wayfinding step, which is a person’s ability to orient their self in space and get around the city, is one of the last steps in the process. Park Here L.A. is designed with an awareness of this overall experience. Both automobile and mobile devices urge the user to go directly from point A to point B. This system would invite the user to explore the urban environment, while providing information to arrive at their destination on time. Example of a wayfinding kiosk in central Los Angeles parking lot. Watch a demo video of the solution and my process. Earlier in the year, I worked on a multi-modal transit routing App for locating affordable parking in the outer ring of the London metropolis. 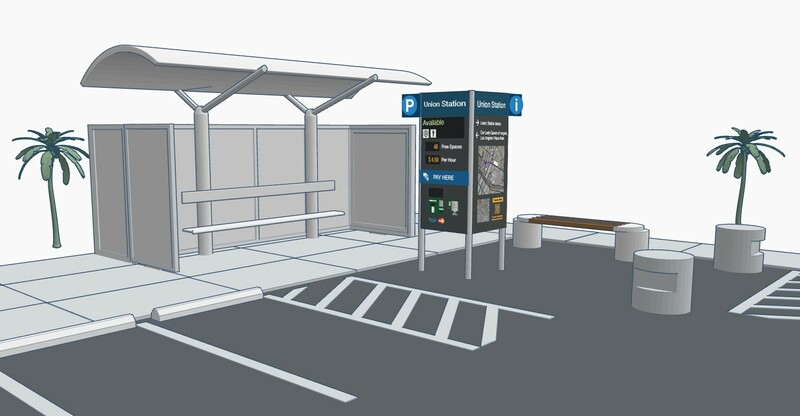 As part of this work, I realized that the payment and information experience at the Park-and-Ride stations was a critical part of the user’s journey. The interchange to public transportation is one of the biggest hurdles for Park-and-Ride stations and I think the same could be said for parking that requires the user to walk to their destination. If this part of the journey can be made easier and more enjoyable, then people are likely to use mixed-mode transportation. I realized that parking lots could be designed as micro transit terminals, which reassure the user and help them find their destination. Software in the user’s car, i.e. a Ford Sync app, or mobile app for finding parking would provide the user information and directions to desirable parking. After the user parks, they easily pay for parking and as part of this process find useful information about the area where they have parked. Examples of the mobile app for finding Park–and–Ride parking. My idea was inspired by many other existing systems and ideas in architecture, public transportation, and urban planning. 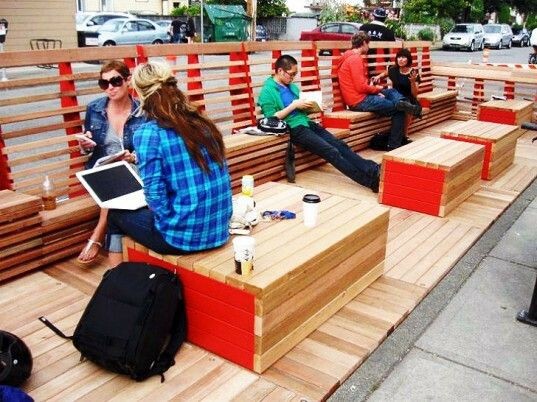 I have also been inspired by more recent trends known as “tactical urbanism,” including on-street Parklets and Park(ing) Day. For the physical and interface design of the kiosks, I borrowed heavily from the Legible London signage system, the Walk NYC wayfinding project, and the City ID Interconnect system. Examples of wayfinding displays near parking and public transportation. Not all parking lots can include these kiosks, of course. 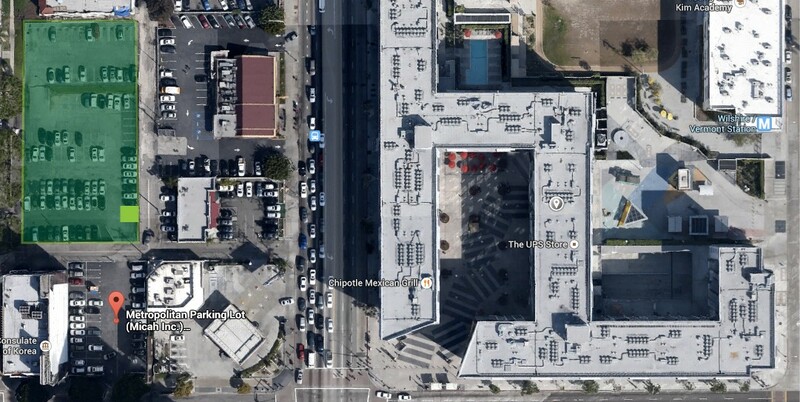 For this reason, I surveyed a number of parking lots, including Park-and-Ride lots, in the Los Angeles area using Google Earth. I selected parking lots in pedestrian-friendly districts of the city, where the user could get to many places within a 5 minute or 1/4 mile walk of the parking lot. 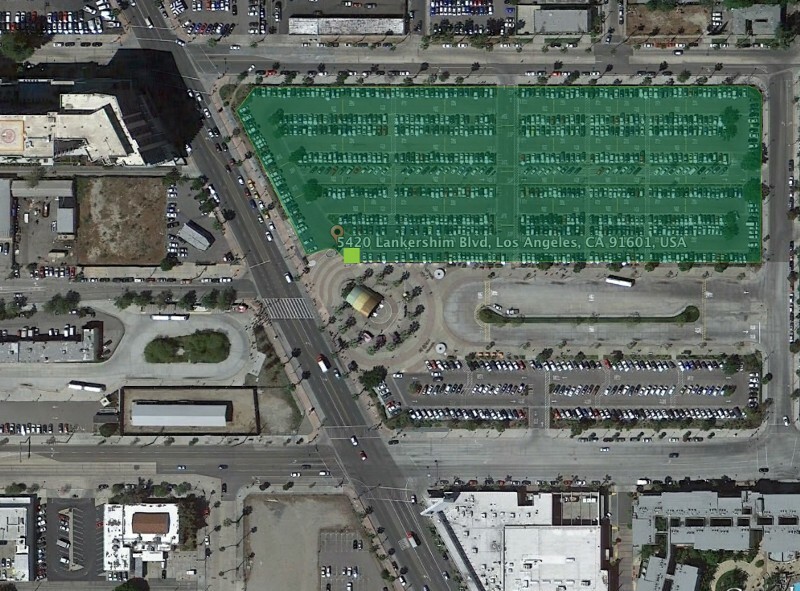 I selected parking lots that could serve as links to public transportation. There were about 30 candidate locations for my system. 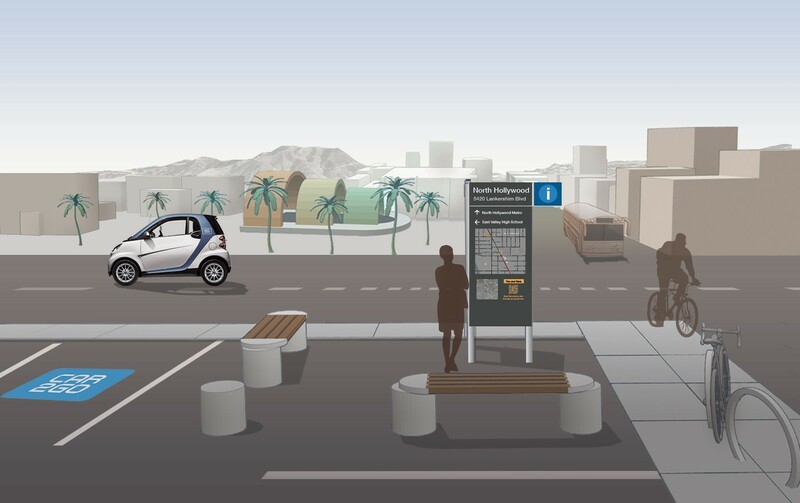 In Park Here L.A., two parking spaces become a micro transit terminal, connecting cars, public transportation, cyclists, and pedestrians. What direction will drivers be coming from? What is the main egress point? And what is the path of most pedestrians from this location? What are the nearest forms of alternative transportation? 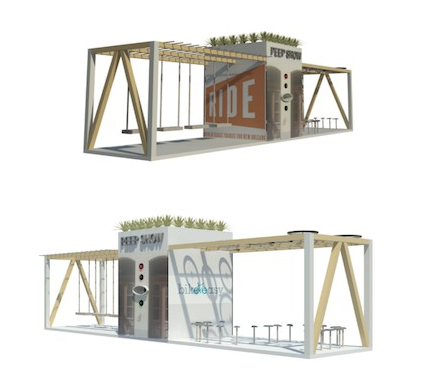 How does the information hub compliment existing parking and street-level signage? What shelter and lighting are already provided at the site? 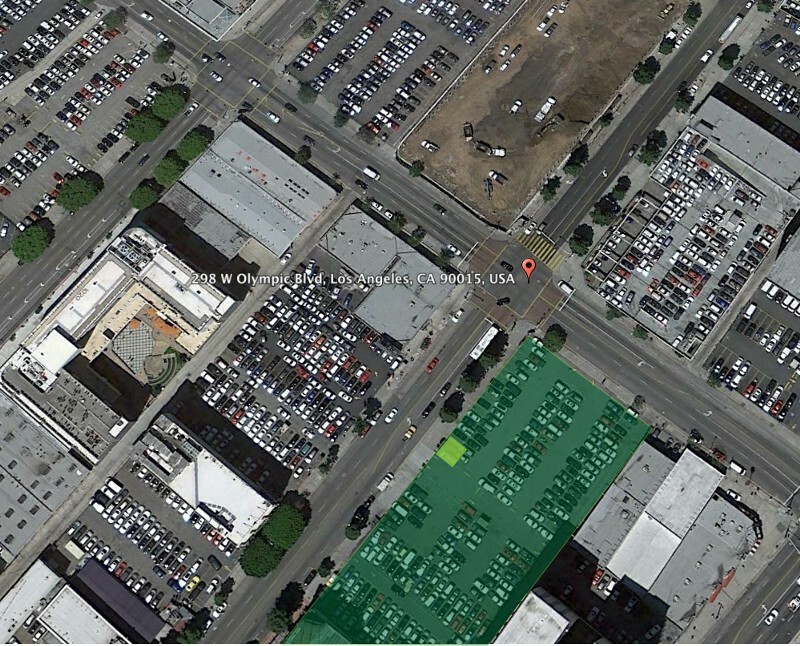 How should the area be protected from traffic in the parking site? I prototyped different configurations to account for these factors. The Park Here L.A. prototypes combine shelter, lighting, seating, bollards, signage, and the kiosk system. While outside the scope of this project, I also imagine green space and landscape design be a part of these sites. Examples of different configurations of the same system I modeled with 3D CAD software. The kiosk interface is designed to be visible from far away and is oriented as a heads-up display for standing or seated users. This is the recommendation of City ID in their guide to improving the city user’s journey. This orientation helps people interpret their surroundings, estimate the distance between places, and become aware of nearby places. This design helps both first-time and experienced visitors of the location develop a better mental map of nearby places and transit networks. 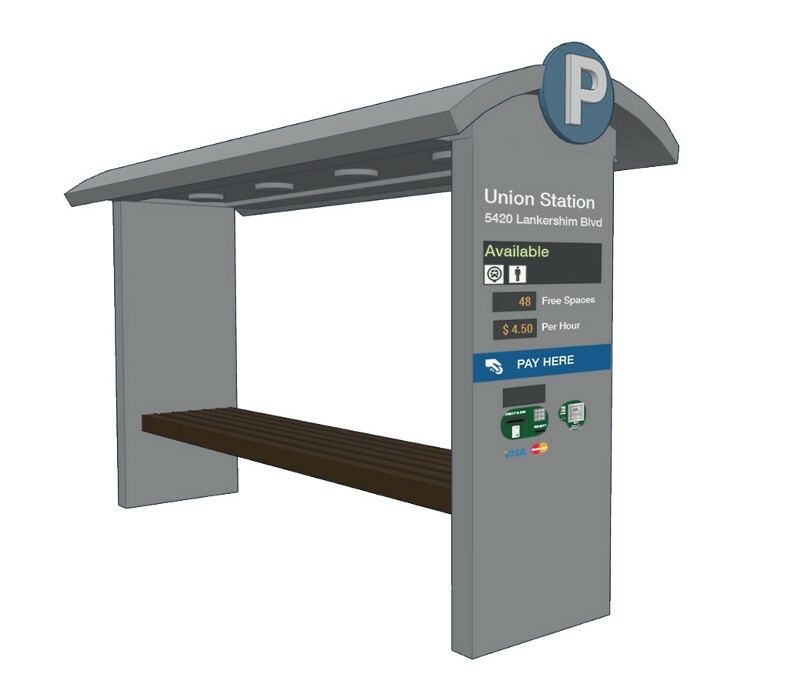 Kiosk and interface specification for parking and wayfinding kiosk. The wayfinding map displays the user’s current location in relation to their nearby surroundings. I created the visual design of the scalable map using Mapbox Studio. This map will actually work for any major city in the United States. Specifically for Los Angeles, I added several transit layers using the L.A. county GIS data portal and the L.A. Metro developer portal. The online map could include live bus and transit information. The software itself is a Node.js application that loads the scalable map and then fetches dynamic information for each location using the Google Places API. The idea being that popular places change frequently and the map can be refreshed based upon Google’s categorization and ranking of places. A real-time map also allows for the display of events and temporary locations, such as festivales. From all the places in a 5 mile radius, I calculate the places that are due North, South, East, and West and display these as directional arrows above the map. Example of a receipt with location and link. 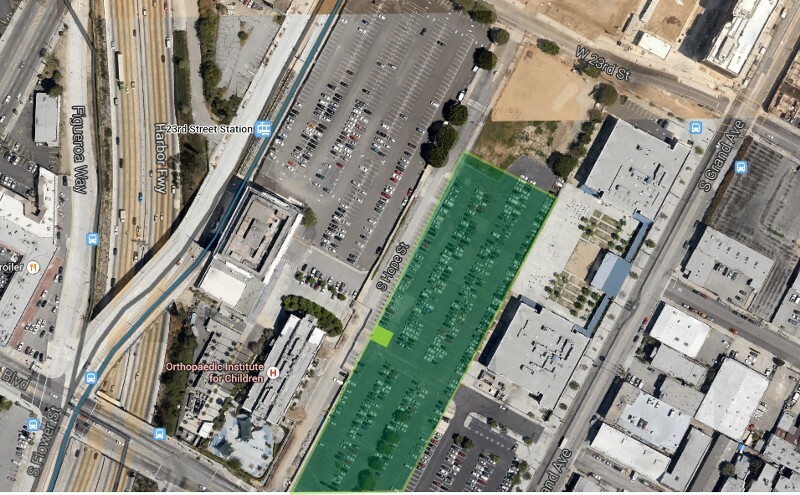 The parking application uses the ParkWhiz developer API to show availability of parking at the current location, including the current price, number of available spaces, and a list of amenities, such as reserved parking, restrooms, and shuttle service. This application would integrate with an existing payment system and in some cases accept mobile payment. 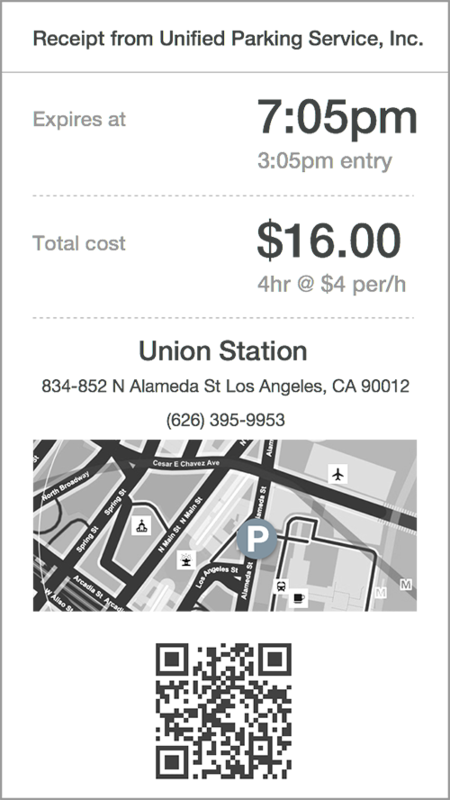 An electronic or printed receipt would include the location of the parking structure and a QR code that links to the wayfinding map. For a private company or individual to design such system in isolation is often a misguided effort as it does not include potential users and stakeholders of the system. For this reason, city governments, private companies, citizens, transit providers, parking operators, and local businesses should discuss and collaborate on a good solution. This collaboration would also help to ease the public vs. private dichotomies I mentioned earlier. The Ford-sponsored Challenge is a great way to start the conversation with tangible concepts and prototypes. The long term goal of a system like this would be to integrate with mobile apps in phones or cars. The app would first help to find parking and then help the user get acquainted with their surroundings. 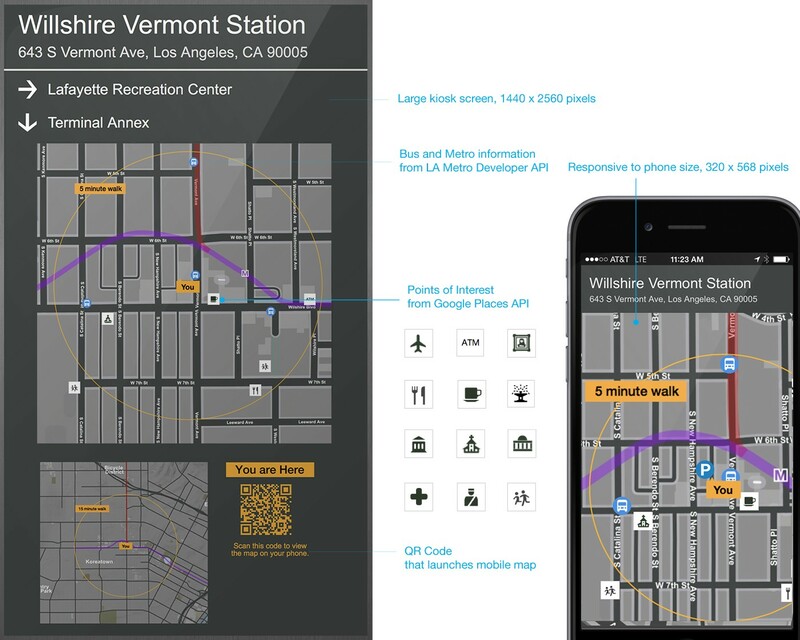 The drawback of handheld maps is the “keyhole” problem: devices tend to disconnect the user with the physical environment and prevent users from forming a good mental map of the area. My goal is to start thinking about ways that kiosk and mobile devices can help with navigation, while allowing for a more natural and immersive wayfinding experience. Design consultant and advocate who tries to make city streets a little better. I write about transportation, government, and cities. Everything to do with urban design, urban planning, and anything related. Want to publish a story here? Please do! Just contact me via Twitter (@flobin) and I‘ll add you as a writer.